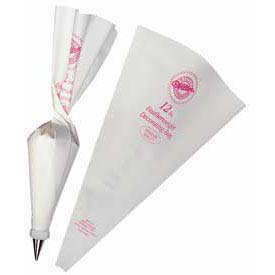 A Wilton 12" featherweight decorating or piping bag. Use these easy handling bags over and over again. Lightweight, strong and flexible polyester will never get stiff. Coated to prevent grease from seeping through. May be boiled; diswasher safe.